The Right Stuff: It's the Squirrels!!! I wanted to post these over here from Amusing Bunni's site. They are just too cute not to share, and we could all use a smile these days! Obummer is Driving Us to Drink! He's Even Taxing our Beer! We'll Be Happy When He's Gone! Black & Gold Fan, you are a sweetie! This is SO nice & Cute of you! And, I just added the drunk looking one sitting at the bar drinking a guinness! The Squirrels and I are jumping down in happiness & appreciation of your great blog and friendship. They also want to say these would be EVEN FUNNIER, they were all GIF pics, but for some reason, on blogger, they don't do all their activities. I have a few on my myspace site from way back that do show the movement, last time I looked! Hope your weekend was great! Thanks for providing a laugh to everyone! Hope your weekend was great also! 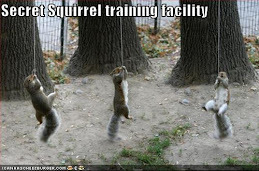 Are those squirels for hire? I think the president needs a Michael Jackson cosmetic surgery. What an ugly man Obama is, and not just in looks. I made a link to this post & your site when someone clicks on the lst pic, of my Squirrelly Punk Rockers! Bunni: I know ya do! Thanks, hon!! Hi B & G! I have an update from Squirrel Central! I have figured out how to animate them, so I am working on new ones as you read this! Stop by and check them out, I have a few good ones now and have to find my other codes somewhere! Also, I put some nice flags by the Good Riddence Ticker...I'm sure Obugger would like them. You are an inspiration. Have a great night. Bunni: I will do that probably in the morning. Had daughter's bday party this evening, and I'm in Hannah Montana/Jonas Bros. hell. Nitey nite! 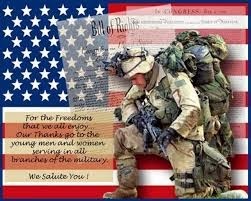 Kiss the "troops" for me!